The guys discuss why Jake didn’t come through on a wingman request from Adam for a night in Hollywood. 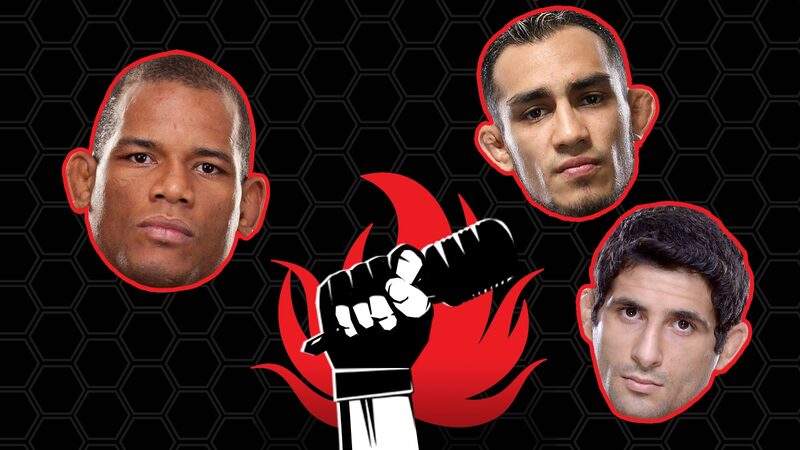 Hector Lombard calls in to discuss the bone he has to pick with boxer Adrien Broner which leads into the debate on who wins a boxing match between the two. Then, Tony Ferguson takes a moment from the doctor’s office to tell us how his comeback from injury is progressing. Finishing it off, hot off his debut win in the UFC, Beneil, we call him Benny, Dariush talks about beating Charlie Brenneman. Every week, comedian and longtime MMA aficionado Adam Hunter and current UFC Welterweight fighter Jake Ellenberger takes a look at the lighter side of life and mixed martial arts. This podcast is more than just a breakdown fights, it dives into what fans really want to know.